Shark is a dark drama about man who "comes" back from the dead on a mission of vengeance. I really enjoy watching every moment of Shark including the ending. The ending didn't surprise me. The ending left a lot of unanswered questions. It gave me hope that perhaps what I thought might have happen didn't happen because Yi Soo and Yoshimura pulled that same act before. (But that's wishful thinking. I guess it can only be answered with a Shark 2: Downfall of the Gaya Empire or Shark 2: The Real Jos are Here.) I wish the writer would have spent more time developing and strengthening other characters rather than focusing on Yi Soo and Hae Woo. I understand they are the lead characters, but a few moments I felt the others were mere props in the drama, not supporting characters. My other wish was that they change the title to Legend of Orpheus. Legend of Orpheus is a better fitted title than Shark. 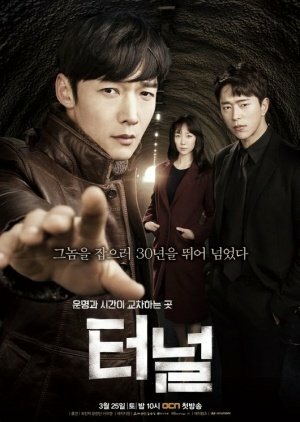 Before you spend twenty episodes watching this great drama, I recommend you read about the story of Orpheus. The Greek mythology is not a summary of Shark, but it gave me a good idea of why the writer choose to add the myth to the drama. The similarities: Yi Soo and Orpheus Orpheus was a poet, prophet, and musician who can make rocks and trees dance when he play his lyre. Yi Soo made people dance to his "tune of music" by manipulating them. Orpheus and Yi Soo travelled through hell to get their loves back, but lost them when they look back. (Yi Soo lost his love because Hae Woo married another Joon Young.) After their lost, Yi Soo and Orpheus did not seek the love and affection of no woman. One story said he seek the affection of younger boys. In the drama, Dong Soo implied twice that Yi Soo was gay. (Perhaps he was bisexual). Yi Soo had many opportunities to rekindle the flame, but quench it. The official soundtrack was great. The song, Between Heaven and Hell by Boa, painted a picture about the love between Yi Soo and Hae Woo. Shark, the Legend of Orpheus, is not for everyone. Some people would be disappointed at the ending. But I am one of those people who enjoyed watching this revenge drama. I will see it again.